True Friendships are wonderful and there are lots of books written about them. The books in today's post are about dysfunctional friendships - friendships with more negatives than positives. Do you agree? This is the first book that I've ready by Judy Mollen Walters and I've decided that I need to go back and read her older books because I enjoyed this book and her writing style so much. This is an author that I can really enjoy. 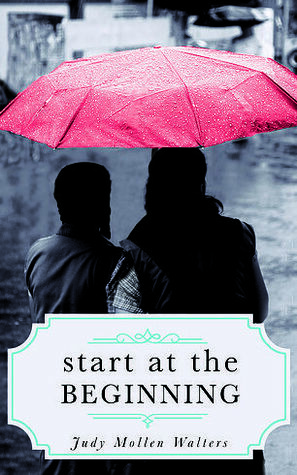 Start At the Beginning is the story of the friendship between Sarah and Robin. When they first meet, Sarah is new in the neighborhood and eight months pregnant. Robin visits with a plate of cookies and tears in her eyes when she sees that Sarah is pregnant because she and her husband have been trying unsuccessfully to have a baby. Their friendship continues in stops and starts. They are best friends and then when Robin has a miscarriage, she stops the friendship. After several months, the friendship starts again and then stops. A decision made by the two families that seems like the perfect way to resolve everything, is the beginning of the end of their friendship. Sarah and her husband and daughter move away soon after Robin and her husband have their baby. The novel begins as Sarah finds out by searching Facebook that Robin has been dead for 8 years. Her almost obsessive quest to find out about her former best friend and her daughter make up the story line of the novel. The novel is all told from Sarah's point of view and alternates between past and present. I found the story line very interesting and even though I didn't always agree with the choices made by the main characters, I understood their reasons for what they did. This was an excellent novel about friendship and family. This is the story of two friends - Jane and Bonnie. They meet in college and they are totally different types of people. Jane is very quiet, very organized and spends a lot of time in her own space. Bonnie is a free spirit, always willing to try something new with a lot of boyfriends and lovers. The book takes place over a 20 year time period and is told in alternating chapters by Jane and Bonnie. Jane gets married and has two children and appears to be living the perfect life while Bonnie continues to bounce between relationships....but things aren't always as they appear to be. The friendship between the two is a very convoluted friendship as are the lives of the two main characters. It's very interesting to read how they choose to live their lives and the decisions that they make. Even though I didn't always like the two main characters of this book, I definitely enjoyed reading their story and I thought that this was an excellent novel. I highly recommend it to readers who are interested in female friendship and dysfunction. 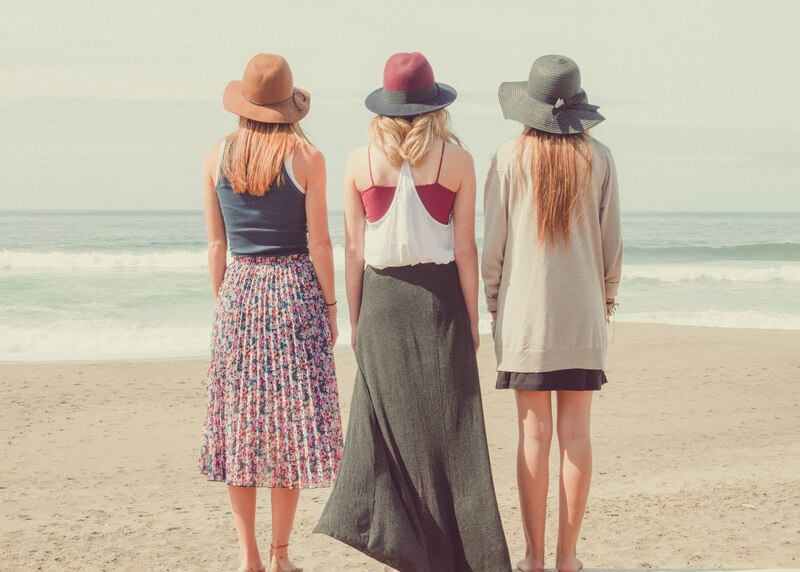 Photograph of girls is by Josh Felise. Get even more book news in your inbox by signing up for our newsletter: http://eepurl.com/mHTVL. A free copy of Start at the Beginning was provided by Goodreads the review. 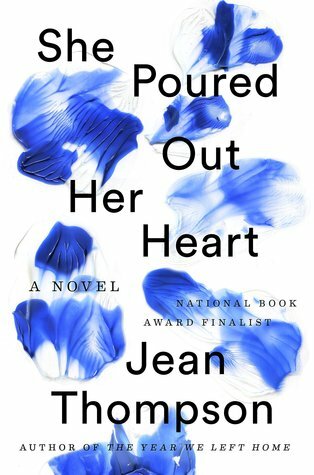 A free copy of She Poured Out Her Heart was provided by First to Read (Penguin Books) for the review. Girl Who Reads is an Amazon advertising affiliate; a small commission is earned when purchases are made at Amazon using any Amazon links on this site. Thank you for supporting Girl Who Reads.